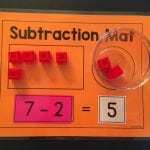 In my opinion, the process of repeated subtraction is very important for students to practice. 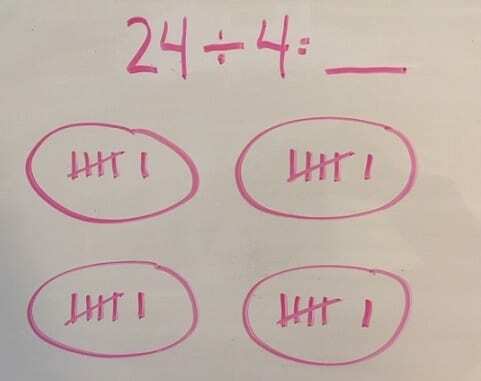 With repeated subtraction, we are actually asking this question: “How many _____ in _______?” If the problem was 20÷4, we can ask, “How many 4’s are in 20?” The process is to keep subtracting 4 (using concrete, pictorial, and abstract methods) until zero is reached. 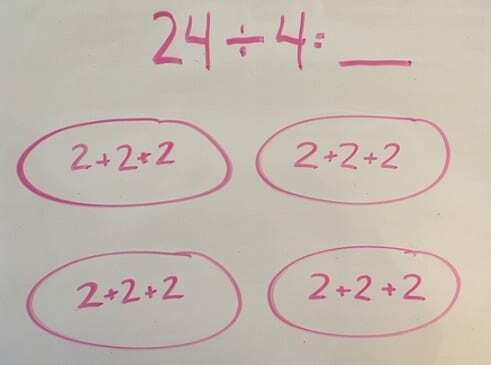 This would be done 5 times — thus, 20 ÷ 4 = 5. 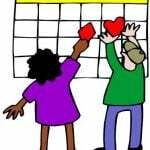 Much like multiplication, there are different aspects of division children should become familiar with. 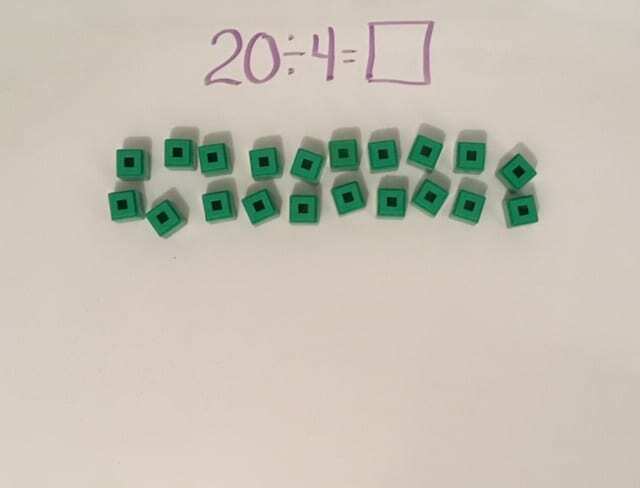 Manipulatives: If the problem is 20 ÷ 4, start with 20 objects. 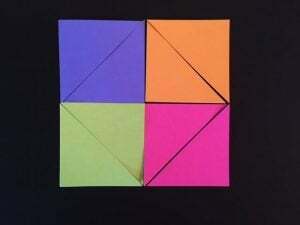 Then take away 4 at a time by moving them to the side and forming a group. Repeat until all 20 objects have been taken from the original group. How many groups were made? 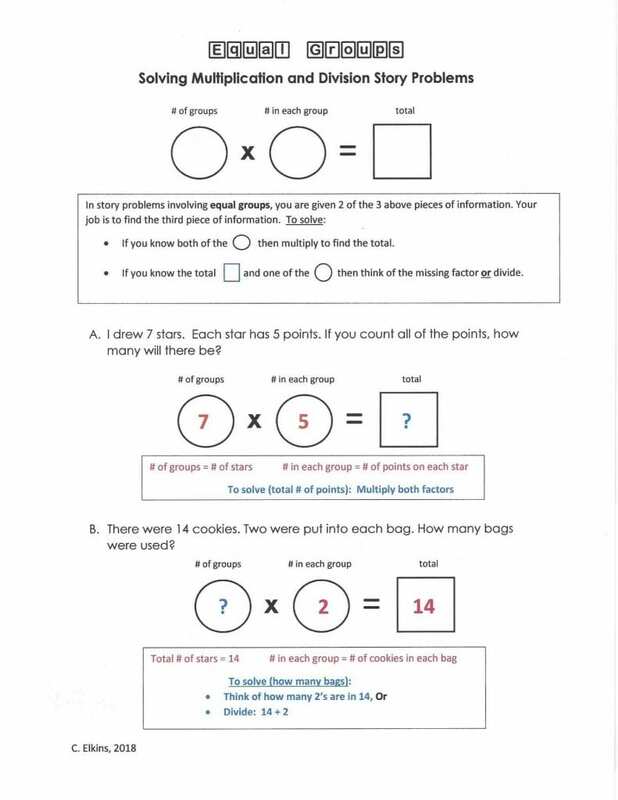 This is a quick, meaningful any very efficient method to help students actually see equal groups being constructed. A must before going to drawings or paper pencil methods. 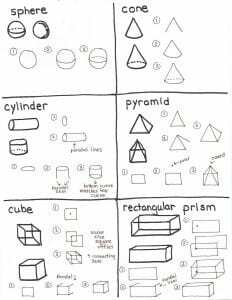 Drawings: If the problem is 15 ÷ 3, draw 20 objects. Cross off 3 at a time and keep track (ex: tallies). Keep crossing off 3 at a time until all 15 objects have been crossed off. How many times was this done? 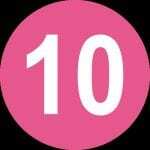 Number line: If the problem is 10 ÷ 2, draw an open # line and label with 10 points (0-10). 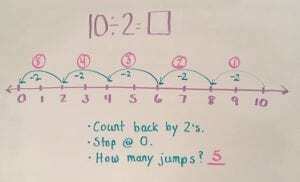 Starting with 10, jump backward 2 at a time until 0 is reached. Count how many jumps were made. This is more effective with dividends 20 or less due to space and amount of time this takes. Consider a vertical # line as well. 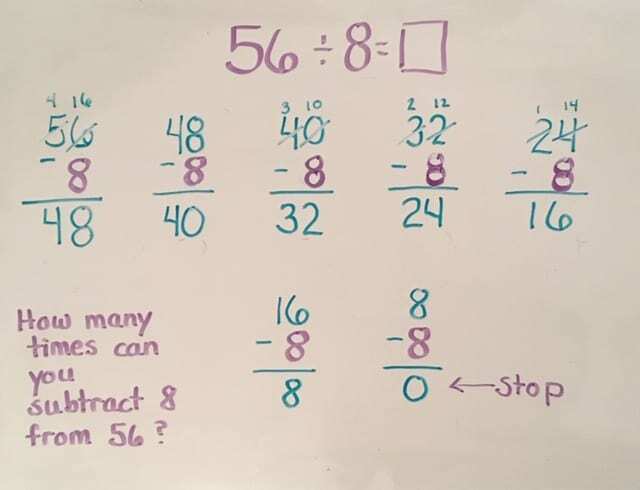 Subtraction: If the problem is 56 ÷ 8, write the # 56, then subtract 8 repeatedly until there is zero left. Keep a running total. Common errors with this method are failure to follow regrouping steps and poor calculations. Enjoy your division journey! Stay tuned for more! Last post featured division using arrays and the area model. 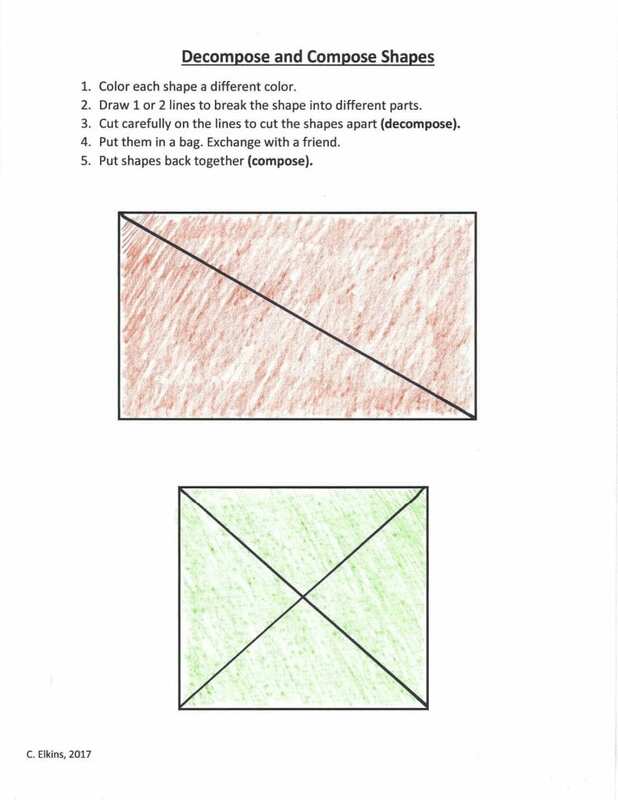 This post will focus on helping children see division as equal groups. 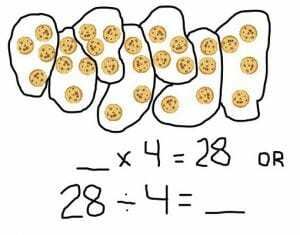 Most of us have used the “plates of cookies” analogy to help kids see how to represent equal groups in a drawing. I will just take that a few more steps to increase efficiency. 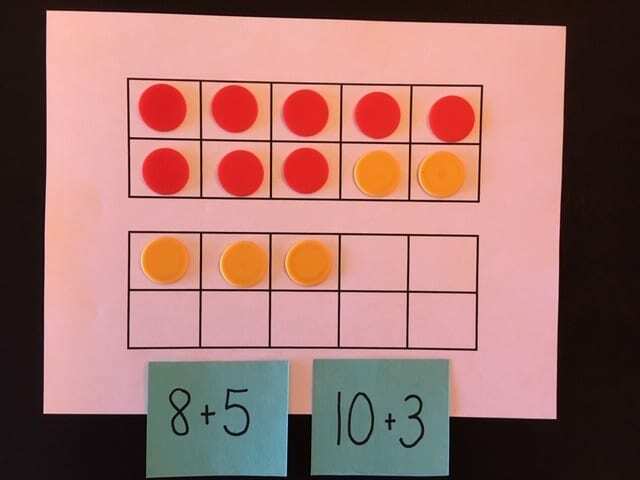 In this post, I will break down the benefits of equal groups models to help children understand division (and how it is related to multiplication). Check out the freebies within this post. 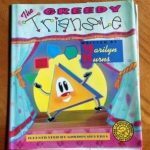 If you haven’t utilized this book with your students, please try to find a copy! 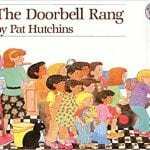 It’s called The Doorbell Rang by Pat Hutchins. In this story, Ma makes some cookies to be split between the kids. Then the doorbell rings and more kids come, so the problem has to be refigured. This scenario repeats. As a class, you can duplicate the story with a different # of cookies and children. 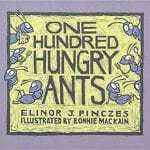 Another great story emphasizing equal groups (as well as arrays) is the story One Hundred Hungry Ants by Elinor Pinczes. In this story, 100 ants are on their way to raid a picnic. 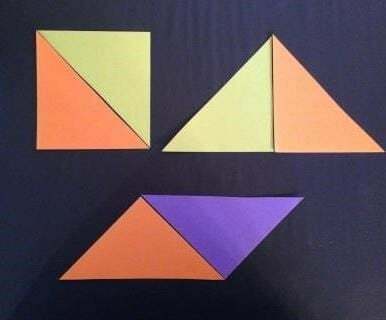 They start off in one straight line (1 x 100), but then rearrange into different equal groups to shorten the line (2 lines of 50, 4 lines of 25, etc.). A nice project after reading this book is to see how many ways a different given # of ants (or other animals / objects) can be divided into equal groups / rows. By clicking on the links for each book above, you will be taken to Amazon for more details. How are they dividing up the cookies? One at a time, two at a time, randomly, trial and error? Are the “cookies” scattered randomly on the plate / circle? 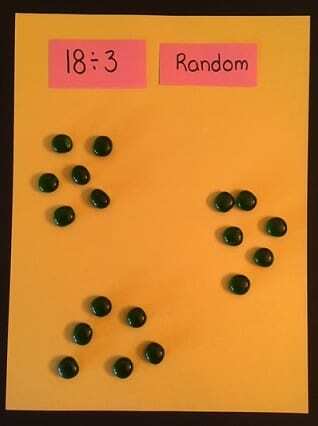 Or, are they arranged in an easy-to-see pattern so they are easily counted (by the student and yourself as you walk around the room)? Are the students able to verbally tell you how they divided them? 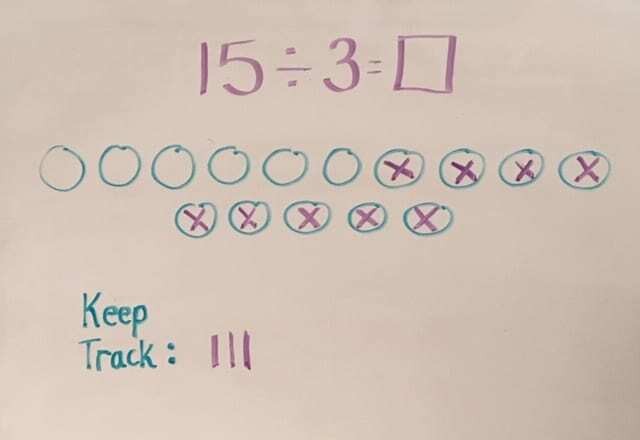 Are the students making the connection to multiplication by noting that 3 x 4 = 12? Can they solve similar problems using language other than plates / cookies? Try shelves / books; trays / brownies; buildings / windows; flowers / petals; students / rows of desks, stars / # of points; aquariums / fish; boxes / donuts; etc. 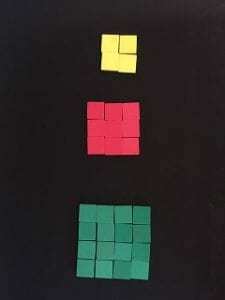 Use of manipulatives of various types (cubes, tiles, counters) is important for children to have their hands on the objects being divided. This is how they work out their thinking. Then work toward paper/pencil drawings before going to the abstract use of numbers only. 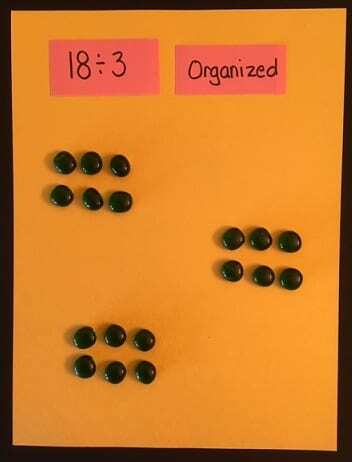 When using manipulatives or drawings, instead of randomly placing the objects being divided into equal groups, arrange them so it’s easy for the child as well as the teacher to see at a glance how many there are. In other words, if there are 5 in each group, are they randomly scattered? If they are, the child wastes a lot of time recounting, which often invites error. And the teacher has to spend time rechecking the child as well. 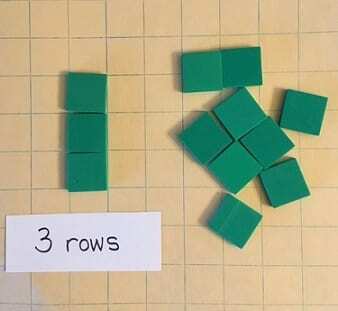 Or, are the objects arranged in smaller arrays or groups making it very easy to see the total (like dice? by twos?). 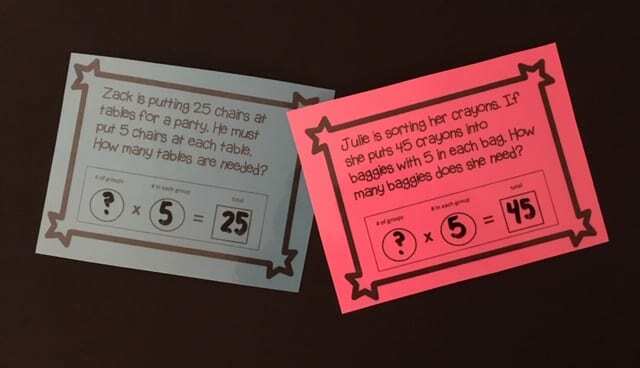 This little requirement adds to a child’s understanding of number bonds and multiplication. 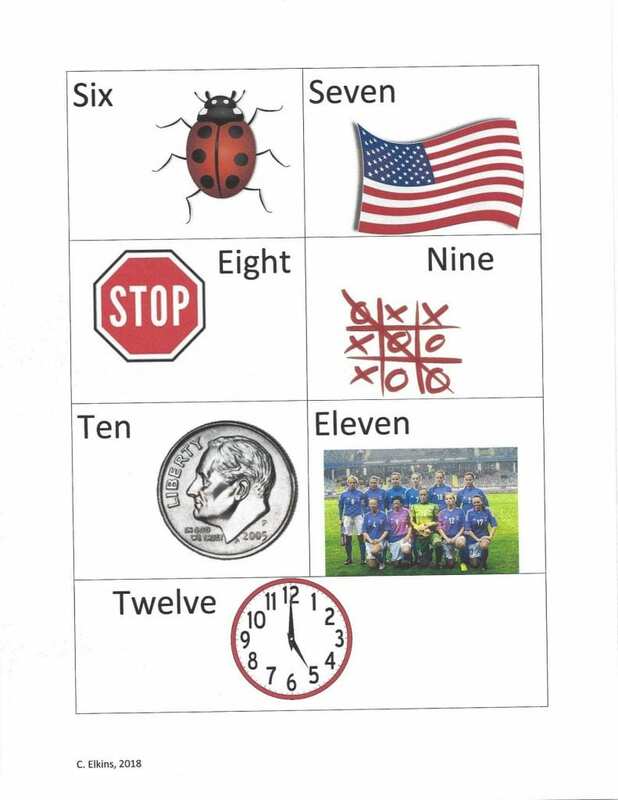 Instead of placing individual objects, have the students try tally marks. 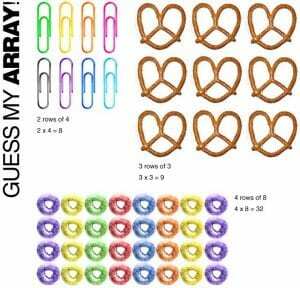 Again, these are counted more efficiently than a random organization – and it aids in multiplication. Instead of always using a one-at-a-time strategy as objects are being distributed, help them think that often they can try 2 at at time, or 5 at a time. 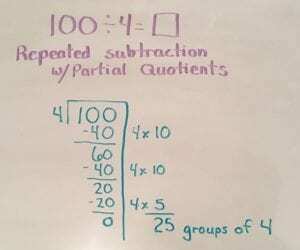 This aids with estimation and helps transfer this idea to future long division processes – especially partial quotients. 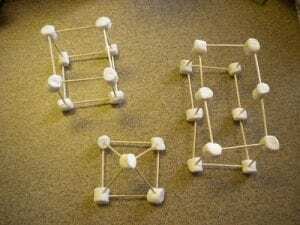 Connect use of manipulatives and drawings with real life stories. What things come in equal groups? 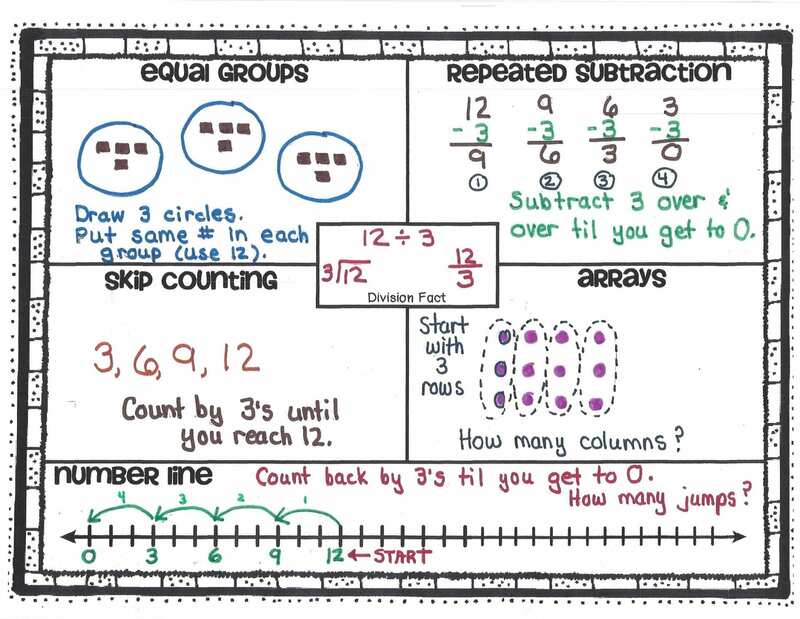 Refer to one of my previous blog posts showing this template for stories about equal groups (which can be multiplication or division): Equal Groups blog post. Help students notice each problem consists of these three components. 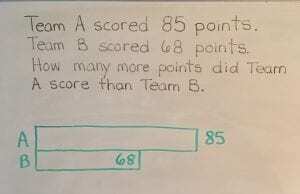 The division problem will usually provide the total and one of these (# of groups; # in each group). 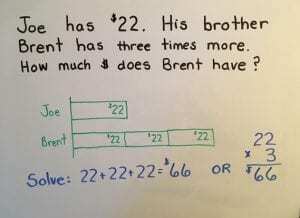 So the problem will be to determine the missing component by relating known multiplication facts and/or dividing. Stay tuned! 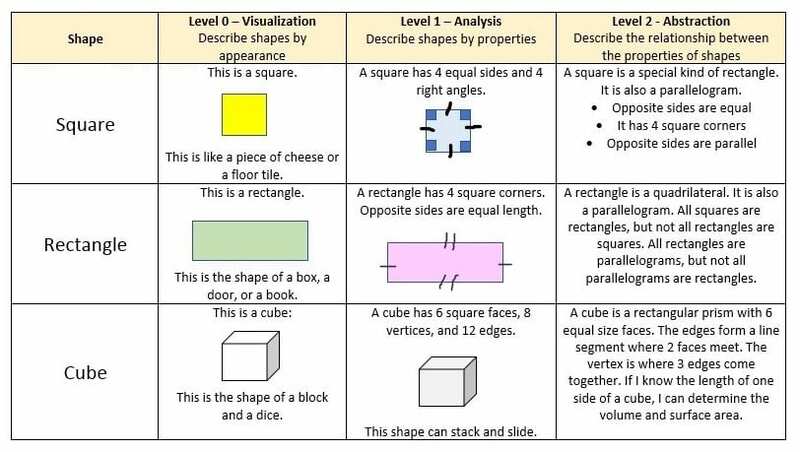 Next week I will include some helpful basic division concepts resources. Division seems to be the hot topic with classes I have been visiting lately, so I thought I’d focus on that for now. Let’s look at some of the basics. 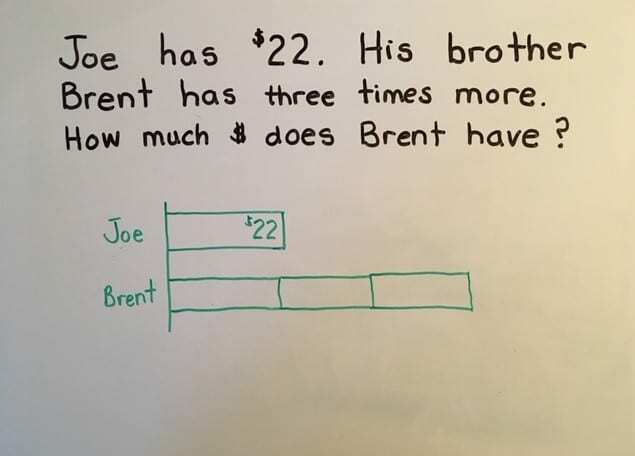 Students as young as first grade actually start thinking about division when working on fraction standards such as: Determine fair share — equal parts. 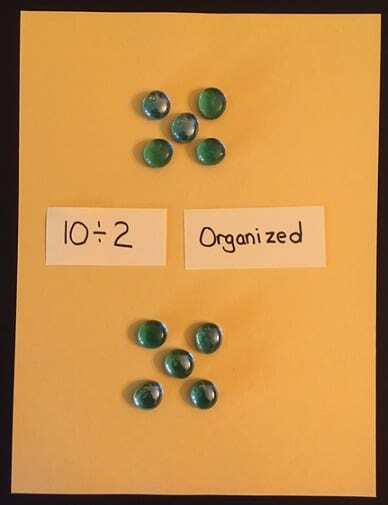 Most students have had practical experience with dividing sets of objects in their real life to share with friends, classmates, or family (cookies, pizza, crayons, money, pieces of paper). 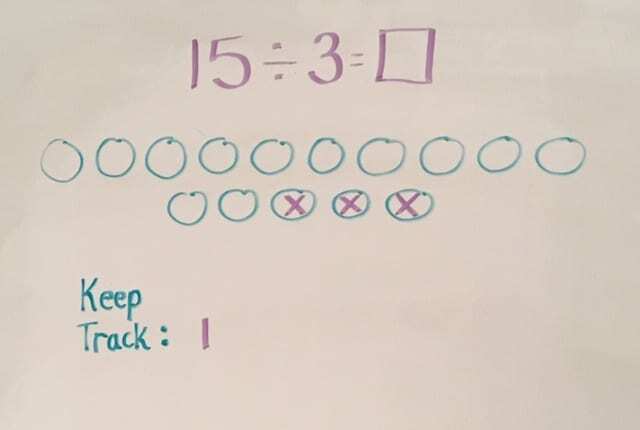 So now our job as teachers is to relate this real-life experience with the division algorithm. 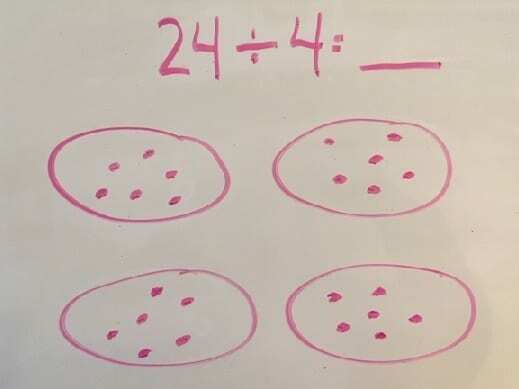 In this post, I will break down the benefits and uses for arrays (and the related area model) to help children understand division (and how it is related to multiplication). There’s a fun FREE game (Block-It) at the end of the post. What is an array? An array is a rectangular model made up of rows and columns. When an array is constructed, the factors are represented by the number of rows and columns. So, do your students know the difference in a row and column? (Rows go horizontally, while columns are vertical.) 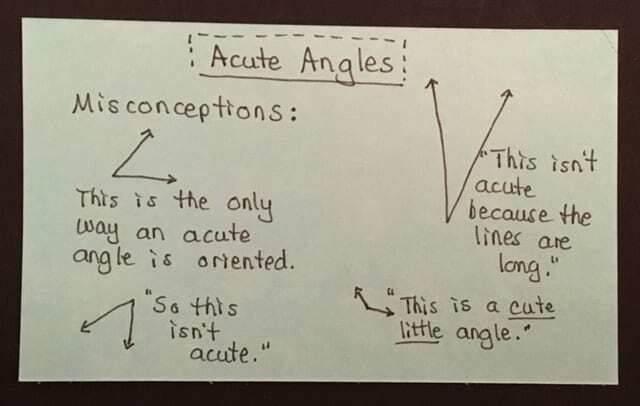 These are important math terms students should be using. 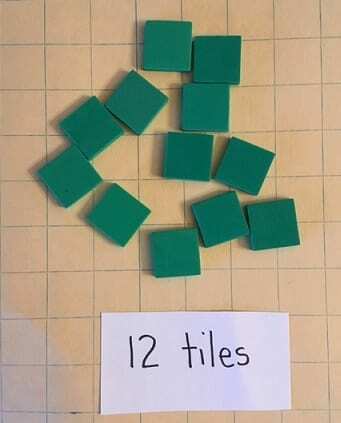 You can be specific, such as: “Build an array using a total of 12 tiles. Put them in 3 rows. 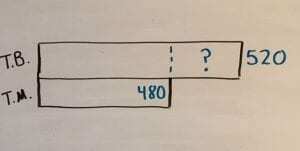 How many columns did you create?” In this scenario, there is only 1 way to show this array. 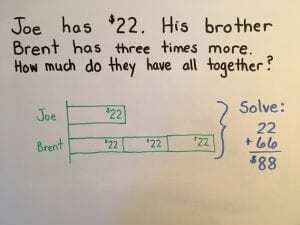 Students would be modeling 12 ÷ 3 = 4. Twelve is the dividend (the total amount you started with). The # of rows is the divisor (how it was divided). 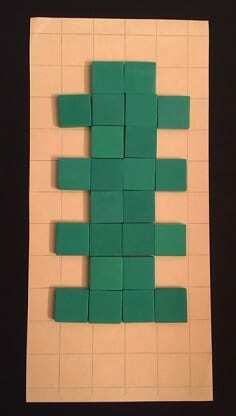 The quotient is the result (in this case the # of columns). 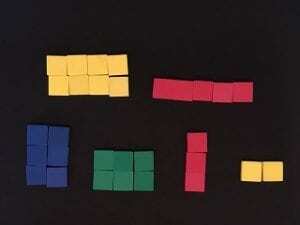 You can also be a little more open ended such as: “Build an array using 12 tiles. 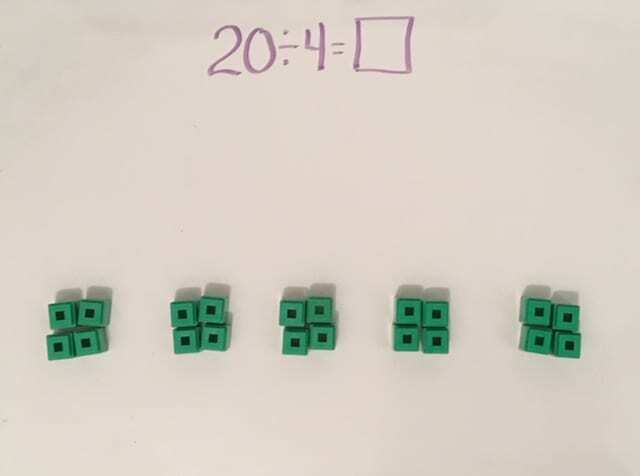 Is there more than one way to do this?” If students are given the opportunity to explore, they hopefully find arrays such as 3 x 4; 4 x 3; 2 x 6; 6 x 2; 1 x 12; or 12 x 1. 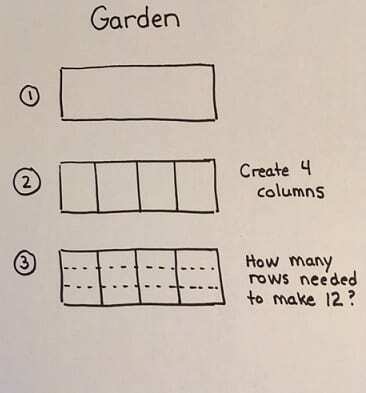 Students would be modeling 12 ÷ 4; 12 ÷ 2; 12 ÷1, etc. You can be specific or open-ended (as above). 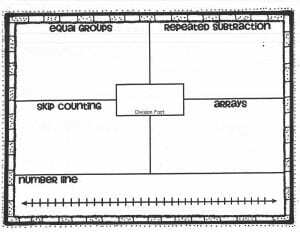 Students should label the sides of the array with numbers. Circle the rows and / or columns to see the groups more easily. 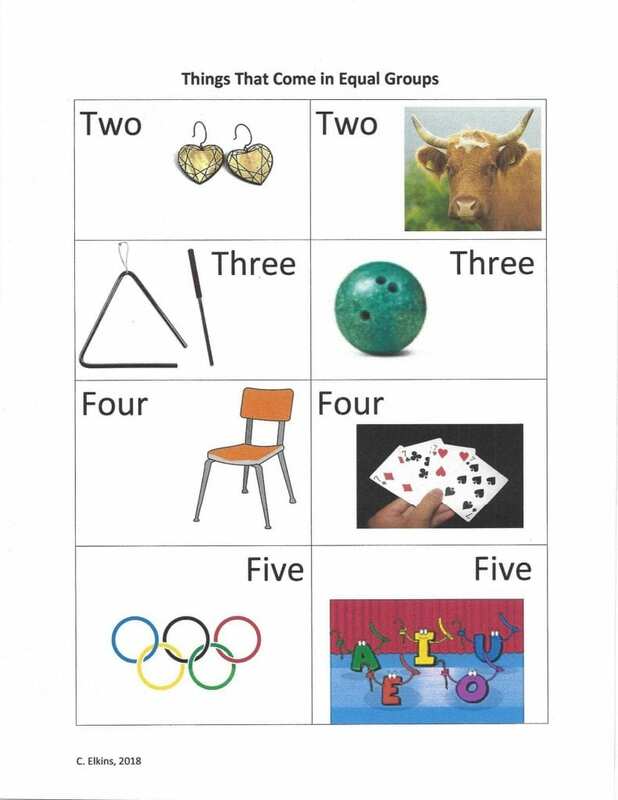 Help children make up story problems to match the array: “I have 12 desks that I need to arrange in 3 rows. How many desks will be in each row?” or “I need to put 12 books equally onto 3 shelves. How many books will go on each shelf? 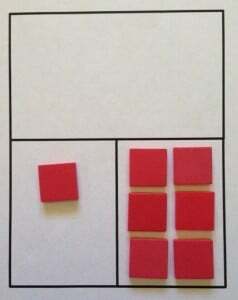 Relate experience with arrays to determine area of a rectangle. This mostly just adds a measurement component to the problem. I am making a rectangular shaped garden which I want to be 12 square yards in size. If the length of the garden is 4 yards, how long does the side of the garden need to be? I am using a rectangular piece of wood to cover a broken window that is 12 square feet. One side of the wood is 3 feet. How long would the adjoining side be? 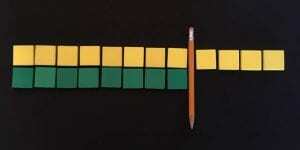 Each player needs 1 crayon or colored pencil (light colored). Different color per player. 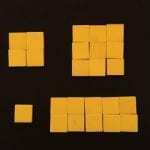 2 number cubes or dice (6 sided). Player 1 rolls the dice. Let’s say a 3 and 4 are rolled. 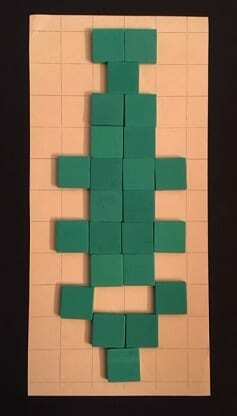 The player makes a 3 x 4 “block” or array. 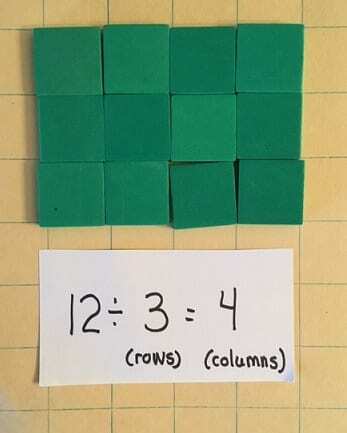 Be sure to show them how to use the lines on the grid paper to make this (as I discovered it’s not always clear to some students). Color it in with crayon. 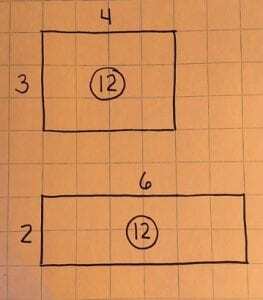 Inside the block, write the product (12). Player 2 then rolls the dice and uses their 2 numbers to create another block, colors it, labels it, etc. 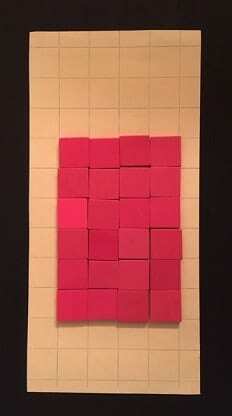 The goal is to create as many blocks / arrays as possible (more than the opponent). There is a strategy to maximize the use of the space. 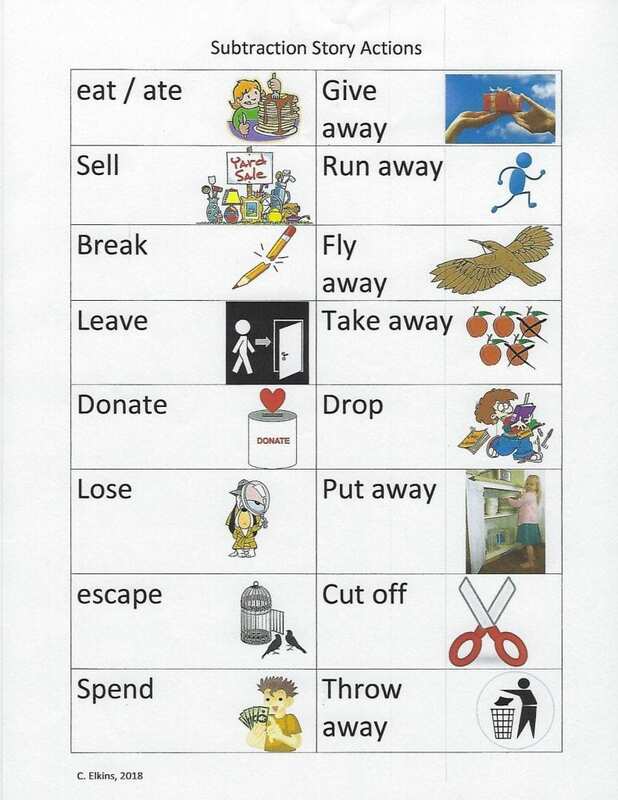 Repeated play helps children see they need to consider this so they don’t end up with little unusable spaces. As the board gets filled up, players may have to miss a turn or roll again if not enough space is available. As the board gets filled up, students may need to start thinking of alternate ways to make their blocks to fit the available space. 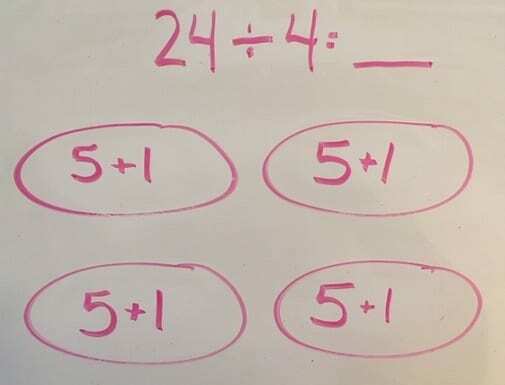 For example, if the player rolls a 6 and 4 but there is no room to fit a 6 by 4 array, they can think of other ways to make an array of 24 that might work (such as 8 x 3, 12 x 2). 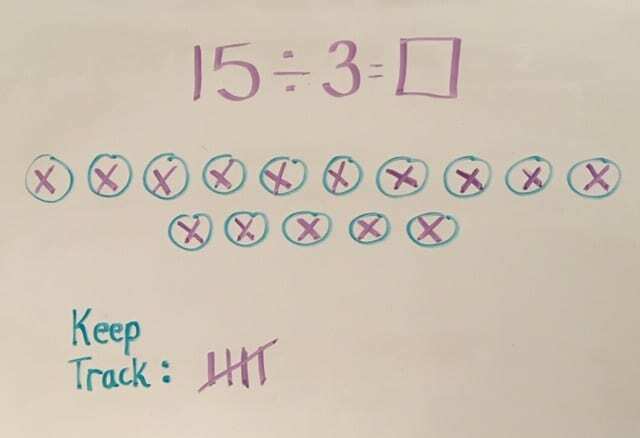 Students can keep track of their score by keeping a running total of each block / array they make. 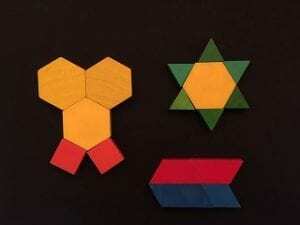 Use smaller size grid paper and use 9, 10, or 12 sided dice. 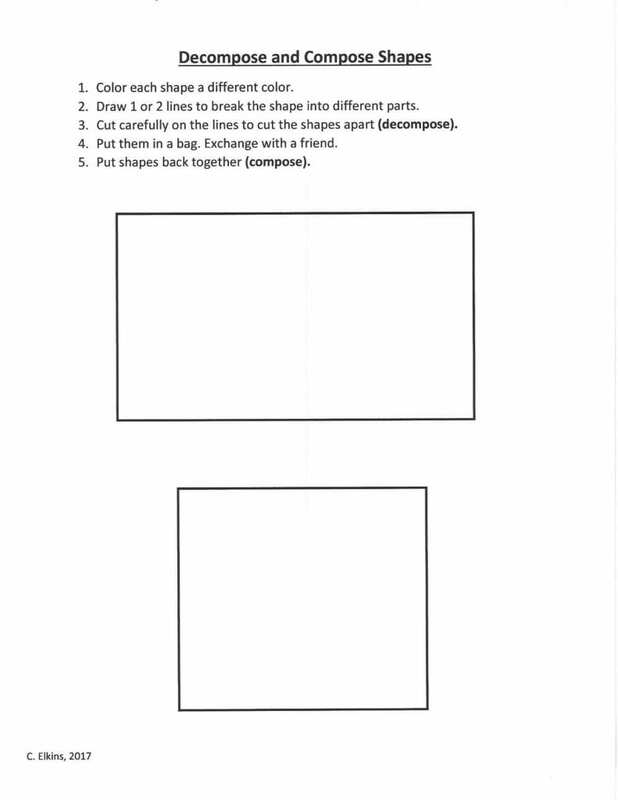 Write the fact family members for each block created. Enjoy! 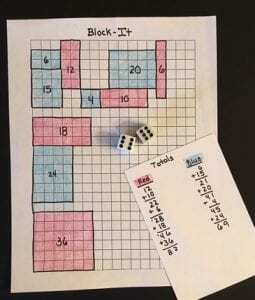 Have you / your students played Block It? Let us know if you like it! 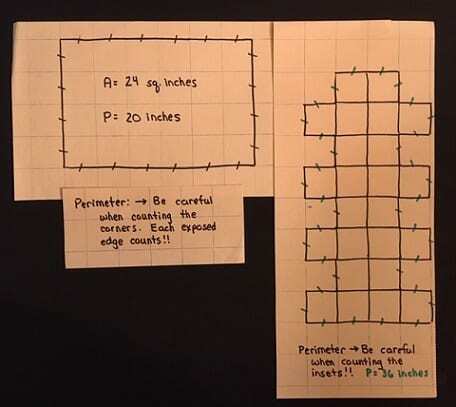 This post features 3 more area and perimeter misconceptions students often have. 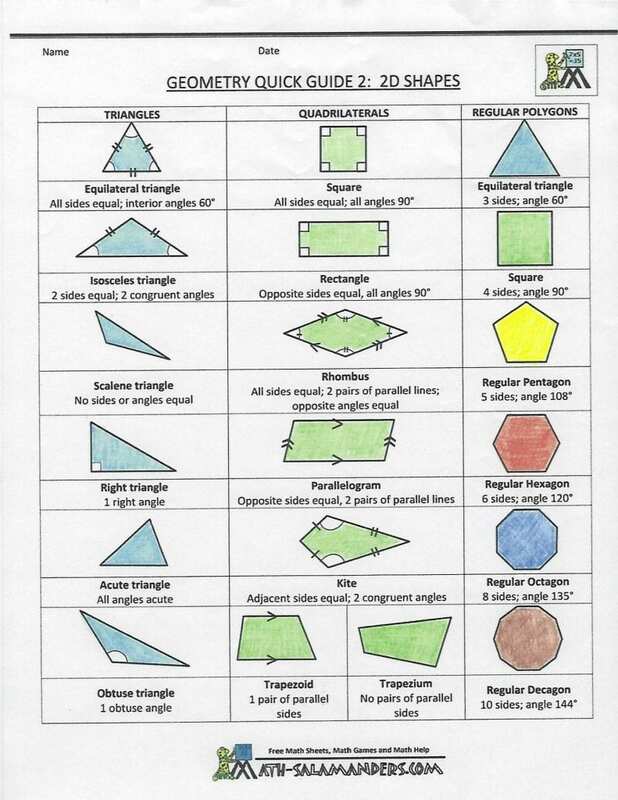 I have included some strategies using concrete and pictorial models to reinforce the geometry and measurement standards. 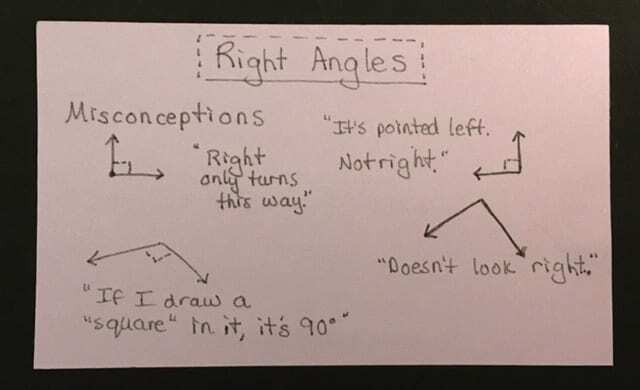 Refer to Geometry Part 7 for 2 other common misconceptions. Also, check out some free resources at the end of this post!! 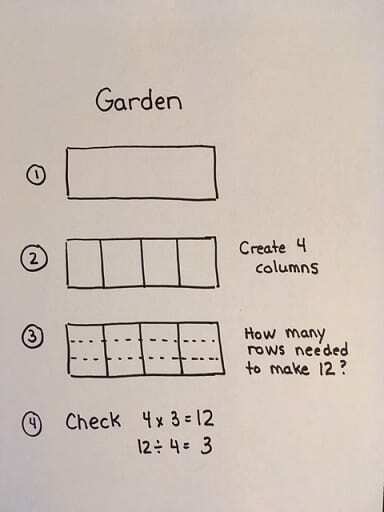 Misconception #3: A student only sees 2 given numbers on a picture of a rectangle and doesn’t know whether to add them or multiply them. 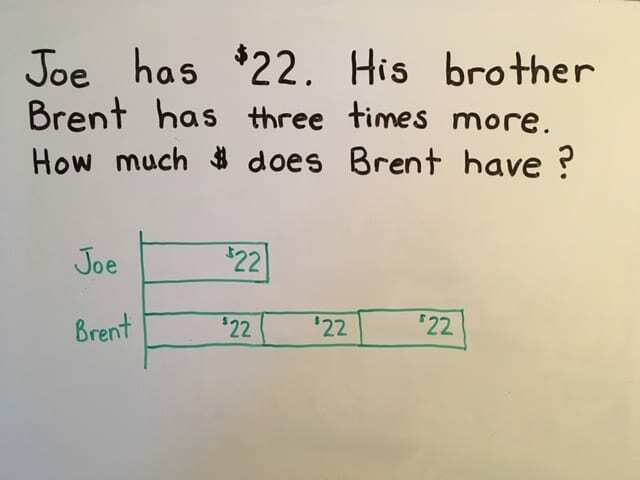 Problem: The student doesn’t know the properties of a rectangle that apply to this situation — that opposite sides are equal in measurement. 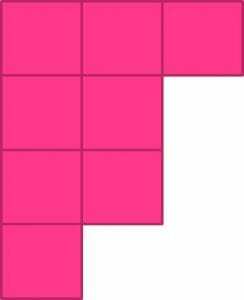 Problem: The student doesn’t see how counting squares can help calculate the area as well as the perimeter. 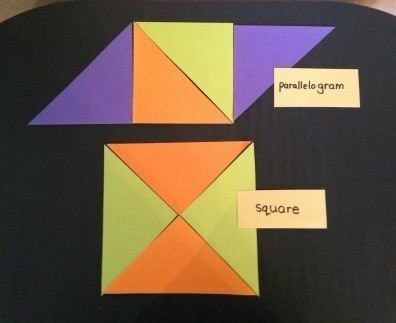 Give the correct definition of a rectangle: A quadrilateral (4 sides) with 4 right angles and opposite sides are equal. 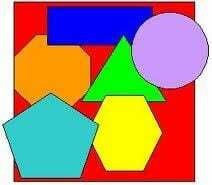 Give the correct definition of a square: A quadrilateral (4 sides) with 4 right angles and all sides are equal. 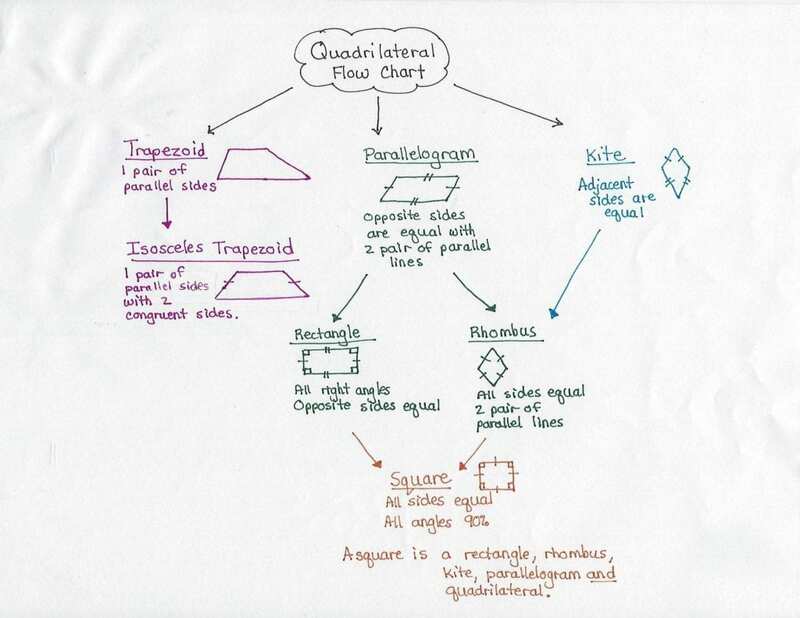 From this, students should note that squares are considered a special kind of rectangle. Yes, opposite sides are equal – but in this case all sides are equal. 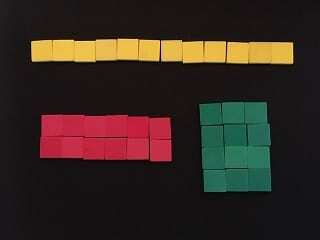 Using square tiles and graph paper (concrete experience), prove that opposite sides of a rectangle and square are equal. 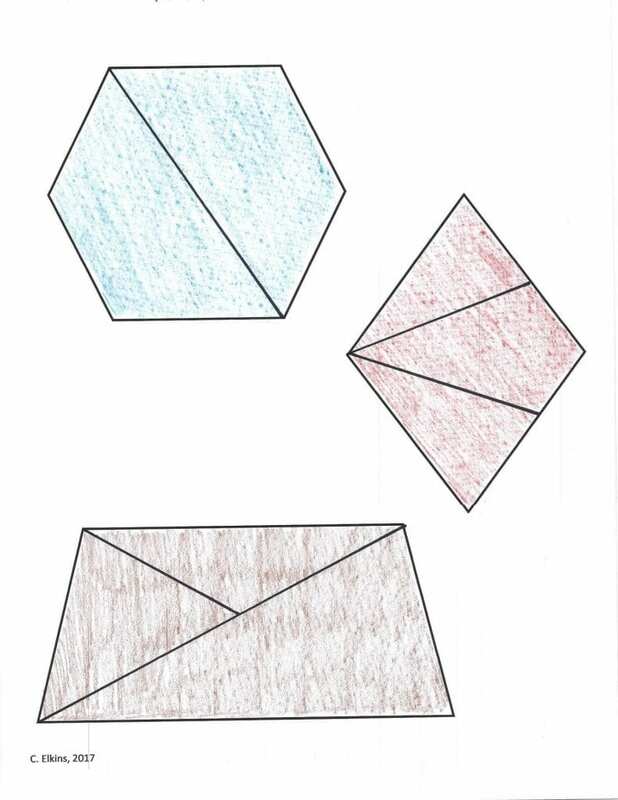 Move to the pictorial stage by making drawings of rectangles and squares. 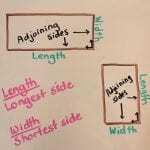 Give 2 dimensions (length and width) and have students tell the other 2 dimensions. 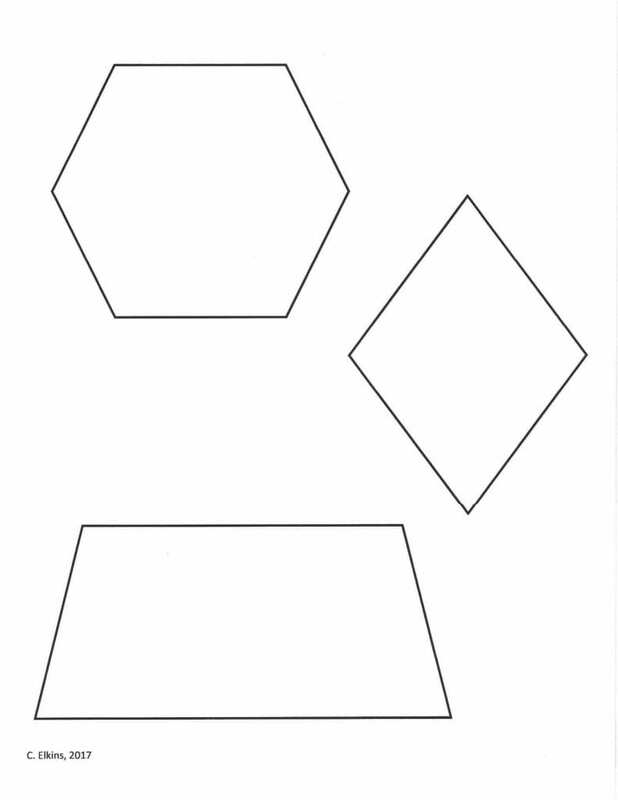 Ask, “How do you know?” You want them to be able to repeat “Opposite sides of a rectangle are equal.” With this information, students can now figure the area as well as the perimeter. 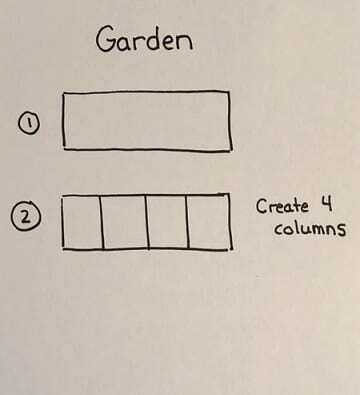 Move to the abstract stage by using story problems such as this: Mr. Smith is making a garden. It will be 12 feet in length and have a width of 8 feet. How much fence would he need to put around it? 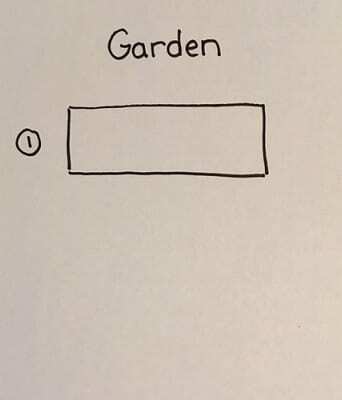 (perimeter) How much land will be used for the garden? (area). 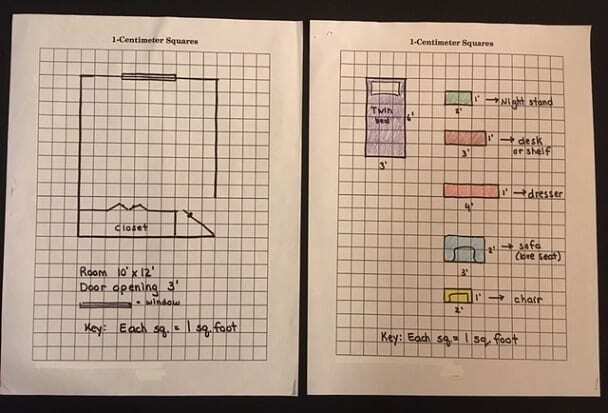 Measure rectangular objects in the classroom with some square units. 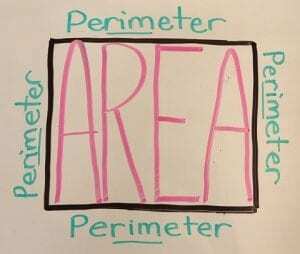 Show how to use them to find the perimeter as well as the area using just 2 dimensions. 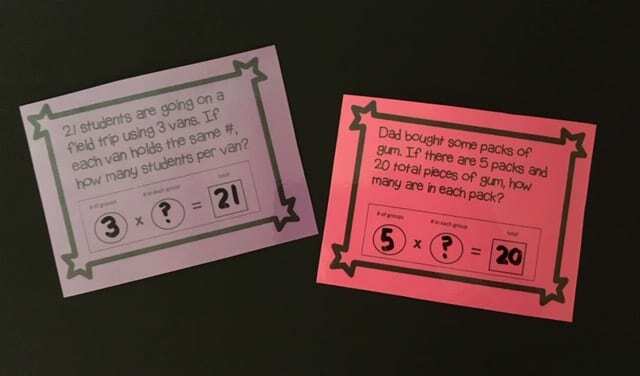 Ask, “Do I need to fill it all the way in to determine the answer?” At the beginning – YES (so students can visualize the point you are trying to make). 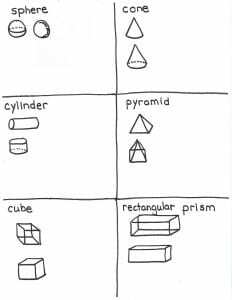 Later, they will learn WHY they only need to know 2 of the dimensions to figure the area or perimeter. 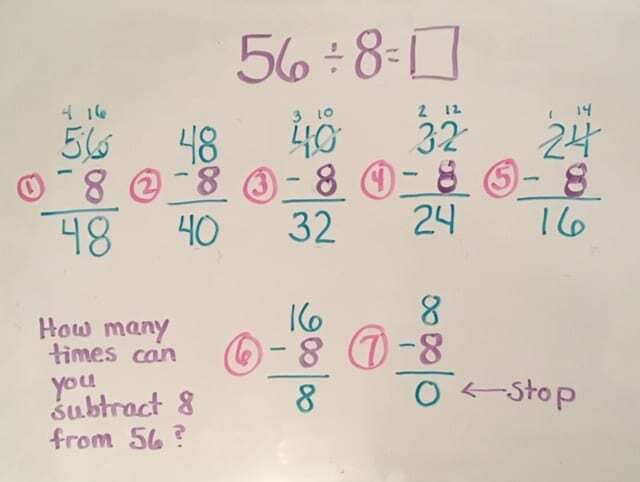 Last time I focused on some basics about learning the number bonds (combinations) of 10 as well as adding 10 to any number. 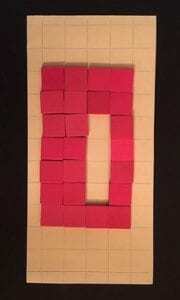 Today I want to show the benefits of making a 10 when adding numbers with sums greater than 10 (such as 8 + 5). 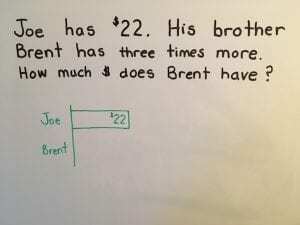 Then I’ll show how to help students add up to apply that to addition and subtraction of larger numbers. 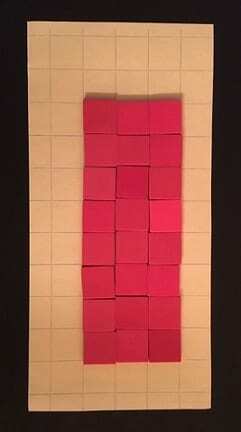 I’ll model this using concrete and pictorial representations (which are both important before starting abstract forms). 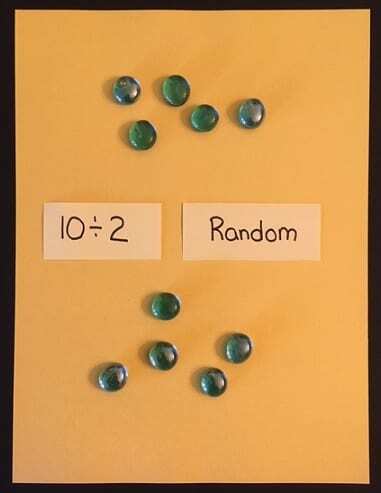 A ten frame is an excellent manipulative for students to experience ways to “Make a 10.” I am attaching a couple of videos I like to illustrate the point. 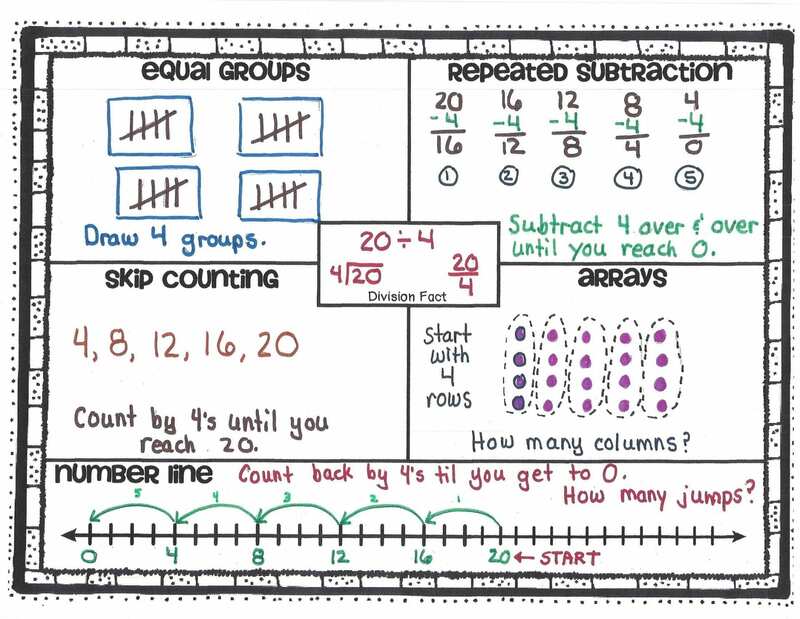 Model this process with your students using 2 ten frames. Put 5 counters (in another color) on the second ten frame. 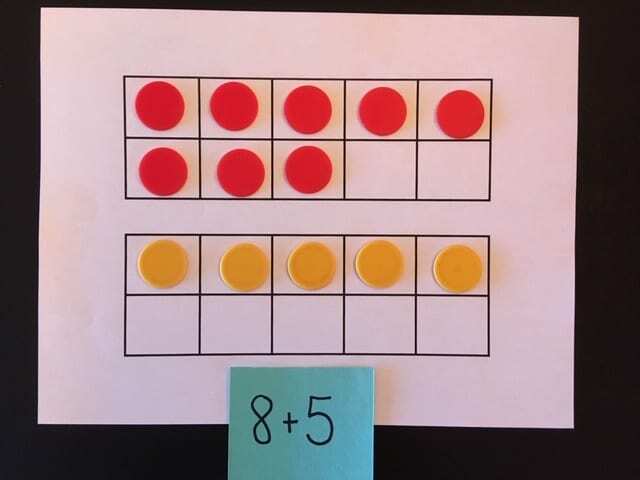 Determine how many counters to move from one ten frame to the other to “make a 10.” In this example, I moved 2 to join the 8 to make a 10. That left 3 on the second ten frame. 10 + 3 = 13 (and 8 + 5 = 13).